You can duplicate and re-use a published test. 1) Select the published test. 2) After checking the contents of the test, select the [Duplicate test] button located on the top right corner. 3) The test paper will be duplicated and you will be moved to the edit screen. 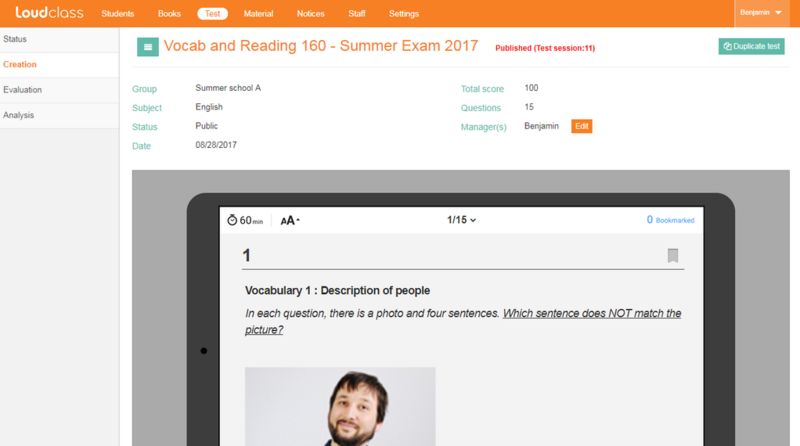 4) You can change the information/contents, save, and publish the test.